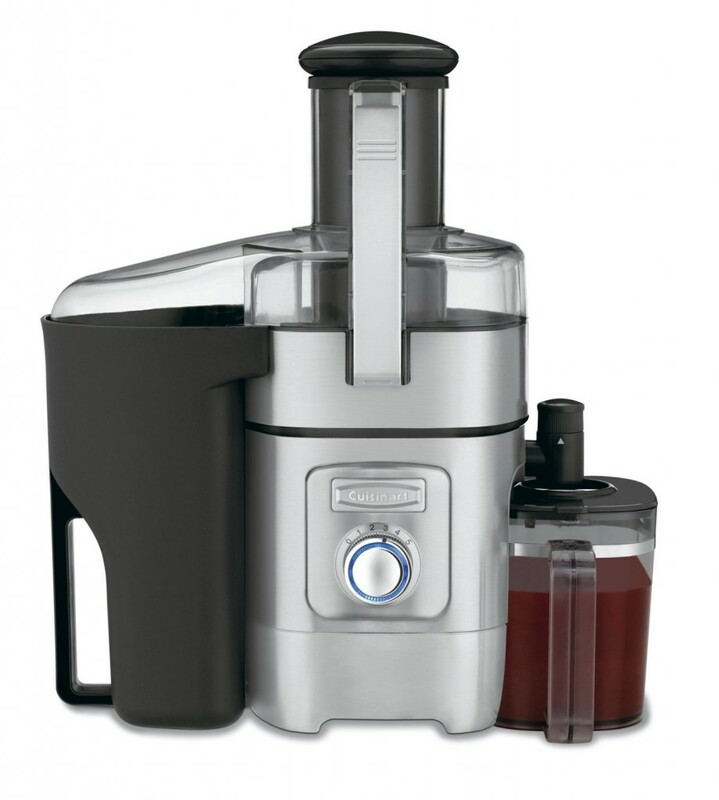 Create tasty, nutritious juices, smoothies and more right at home with a Cuisinart juicer. 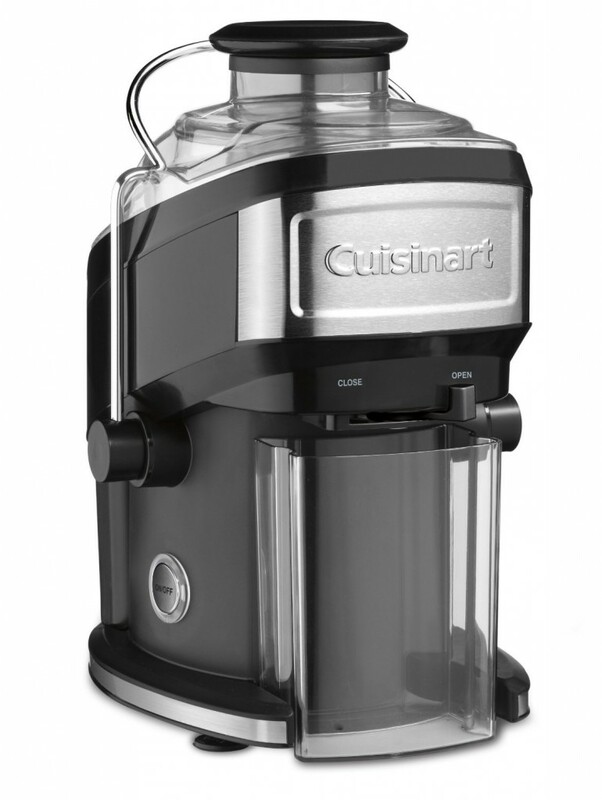 Cuisinart provides a variety of quality and function juicers to meet the needs of customers. These units come with unique features to maximize the amount of juice from your fruits. For added convenience, many models also provide dishwasher-safe parts. Pick the right one to suit your needs. 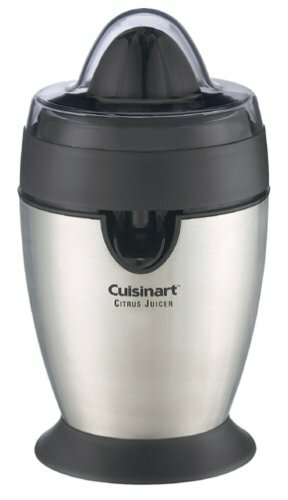 Enjoy fresh, healthy fruit and vegetable juice easily and conveniently with this Cuisinart Juice Extractor. It comes equipped with a 1000-watt powerful motor to ensure powerful performance. Its die-cast and stainless-steel housing make it not only functional but also durable. This unit also provides anti-drip adjustable flow spout and easy unlock and lift system for added convenience. Additionally, all removable parts are dishwasher safe for effortless clean up. If you are looking for a juice extractor that is able to capture about 95% of the nutrients from fresh fruits and vegetables, then you will be pleased with this Cuisinart CJE-500 Compact Juice Extractor. Its pulp container can collect up to 40 ounces and is removable for effortless cleaning. With the mesh filter basket and blade that assembly grinds fruit and vegetables, this juice extractor always provides the maximum amount of juice. 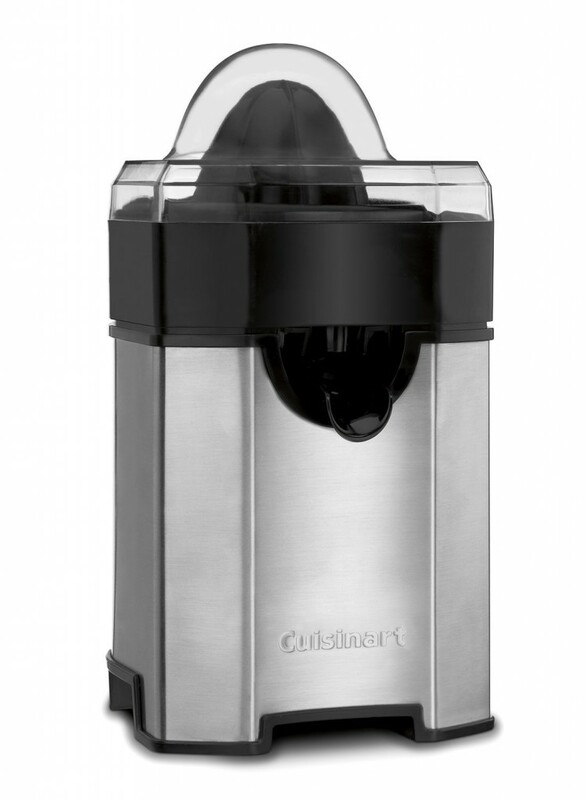 Squeezing fresh juice quickly, cleanly, and easily with this Cuisinart CCJ-100 Citrus Pro Juicer. This unit comes with an anti-drip spout locks that allow for interruption of juice flow. Thanks to the unique auto-reverse spin feature, this juicer extracts more juice from pulp each time. And it also features a brushed stainless steel housing, making it not only elegant but also durable. Cord storage and dishwasher-safe parts are also included for added convenience. 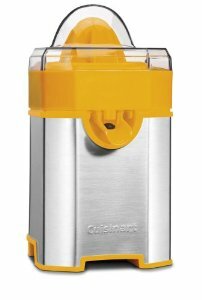 Equipped with an adjustable, auto-reversing reamer, this Cuisinart Citrus Juicer squeezes more juice from the smallest lime or the largest grapefruit, each time. It provides three pulp control settings, including low, medium, and high, to let you select the amount of pulp desired. It also features an extra-long, snap-up spout that prevents dripping and accommodates a large selection of glassware for added performance. Dishwasher-safe parts for effortless clean up. This Cuisinart CCJ-500 Pulp Control Citrus Juicer allows you to start your day with a cup of fresh juice. It comes with auto-reversing reamer, providing you with more juice efficiently. And its juicing cone accommodates small limes to large grapefruits for better performance. Additionally, it has a unique Final-Spin feature to ensure the maximum amount of juice from each piece of fruit.